(Nanowerk News) Solar-excited “hot” electrons are usually wasted as heat in conventional silicon solar cells. In a new type of solar cell, known as a hybrid organic-inorganic perovskite cell, scientists found these “hot” electrons last longer. 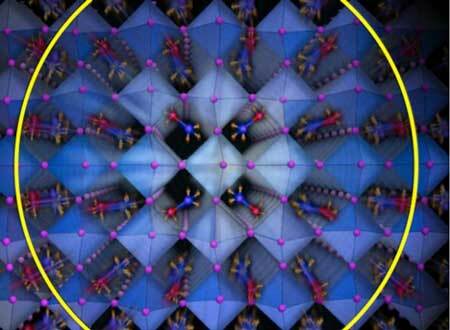 These hot electrons have lifetimes more than a 1000 times longer than those formed in silicon cells. The rotation of oppositely charged ions plays a key role in protecting “hot” electrons from adverse energy-depleting interactions (Science, "Screening in crystalline liquids protects energetic carriers in hybrid perovskites").